Plus 4 other documents required by law! 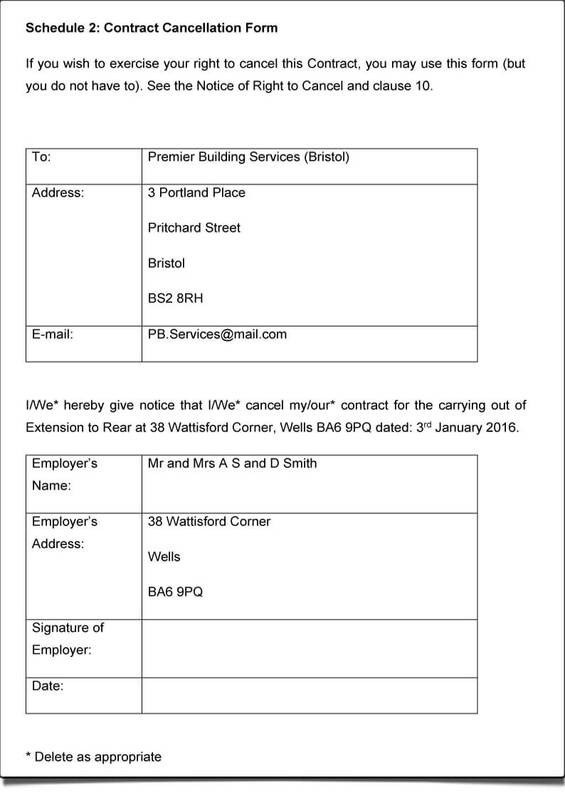 We’ve also managed to jam pack in other important documents such as a 'Start Work Now Form', and a 'Changing Work Form' for ensuring that variations do not lead to disputes. 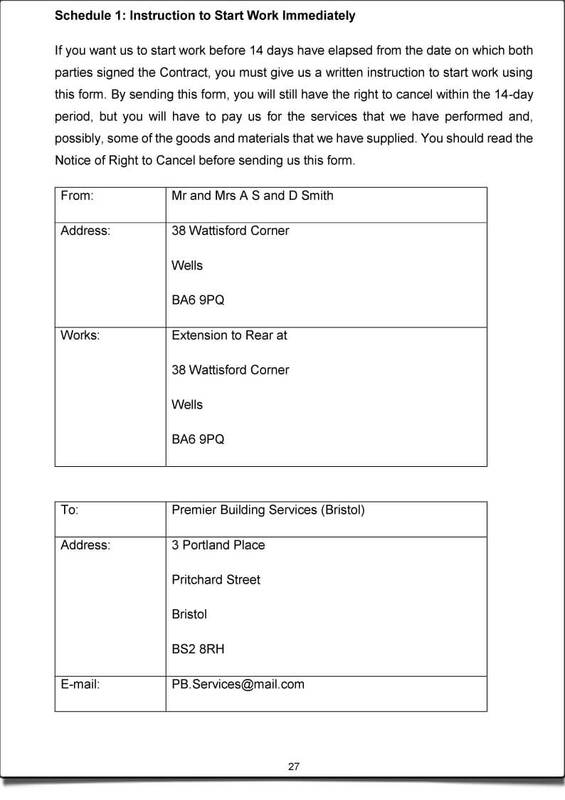 The software also includes a 'Cancellation Form' and a 'Notice of the Right to Cancel' to ensure you comply with the Consumer Contracts (Information, Cancellation and Additional Charges) Regulations 2013. Any company that fails to comply will not be able to enforce their contracts. Worse still, could be investigated by Trading Standards resulting in possible prosecutions and fines. Not to mention an automatically generated introductory letter to cover the finer details of your contract. 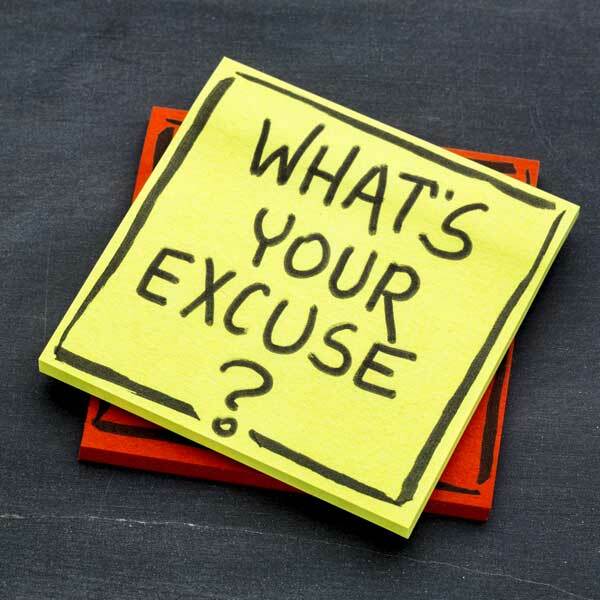 To comply with the law businesses need to make changes to their contracts and include a 'Notice of the Right to Cancel' and a 'Cancellation Form' so you stay within the law including the Consumer Contracts (Information, Cancellation and Additional Charges) Regulations 2013 which you must comply with. If you sell products and services worth over £42 to a customer at their home you must provide certain information for your customers, including their right to cancel. Failure to provide this information is a criminal offence. 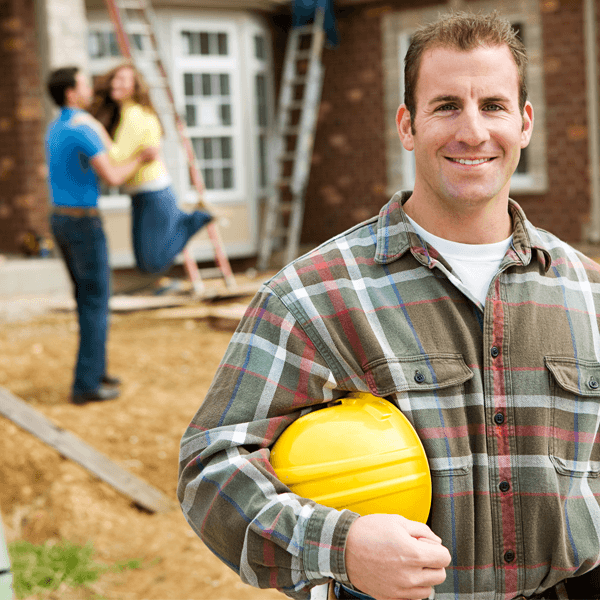 This includes the sale of products and services to customers at their home, their workplace or another individual’s home. 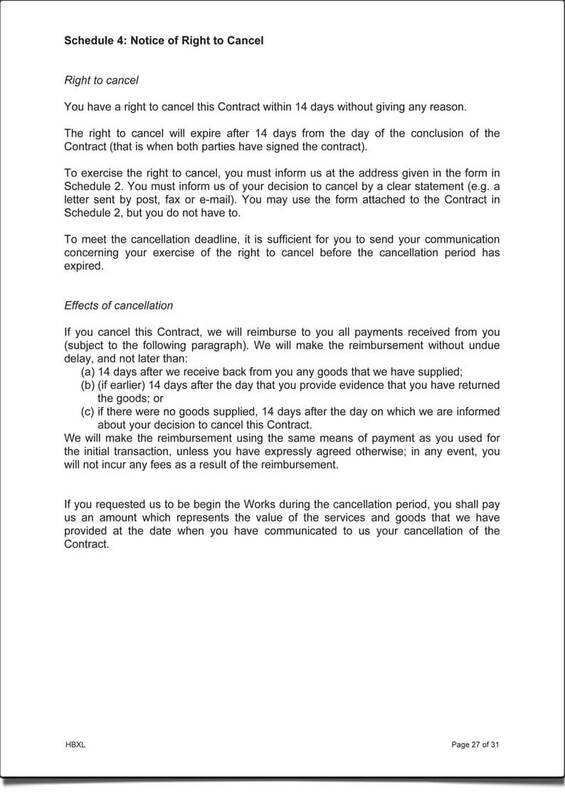 In the event that your customer does not want to proceed, in line with the 'Notice of the Right to Cancel' there is also a cancellation form included within the software which must be printed and included to allow for these regulations within the terms and conditions. 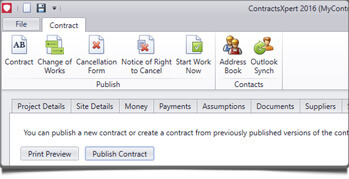 ContractsXpert also includes a 'Start Work Now Form' which must be prominently displayed in the contract document or accompanying terms and conditions if a customer wants you to go ahead before the cooling off period ends. Easily manage your project and track any agreed changes to the work (variations) in your contracts as the project progresses. Simply print two versions to ensure you both have copies of the agreement of variations and the associated costs. 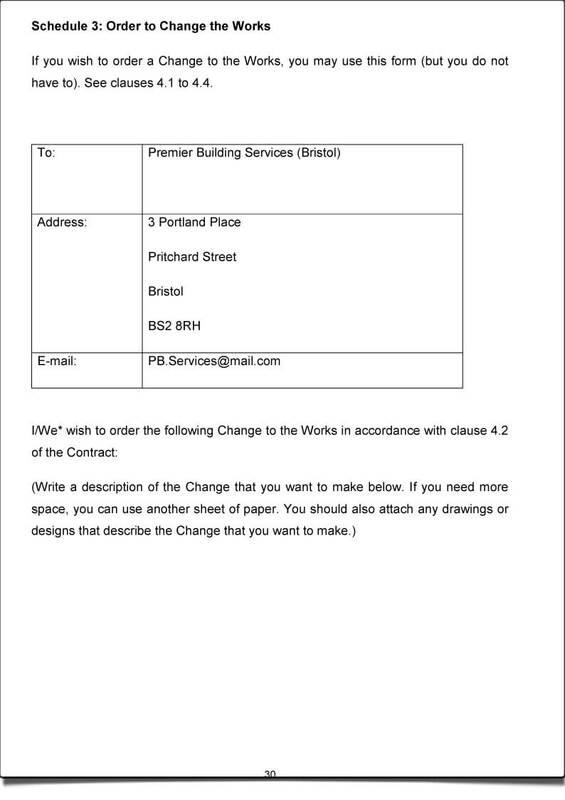 Once this document is signed by both parties there can be no confusion when the customer receives the invoice. You can easily see the different published variations of the software from within ContractsXpert.